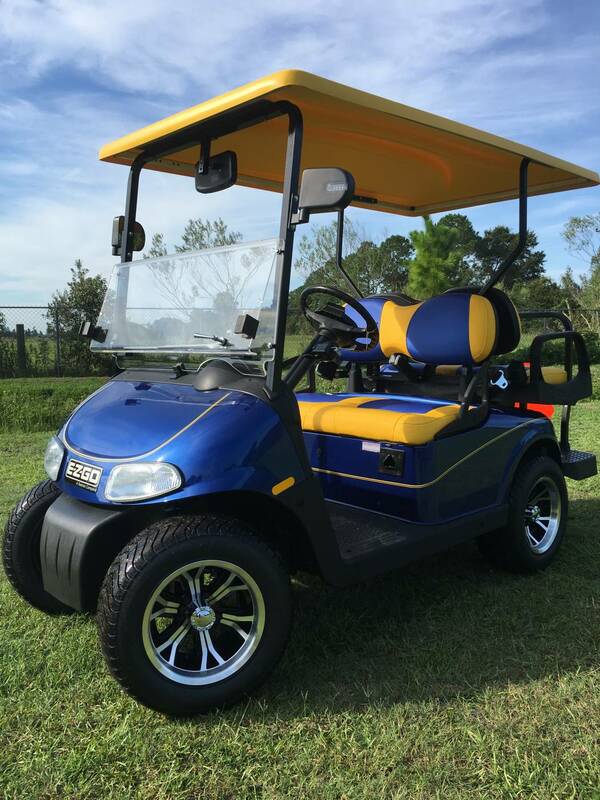 Custom Built EZGO, 4 Passenger, blue with yellow pin stripes, custom blue and yellow seats, upgraded yellow top, upgraded tire/wheels, clear windshield, rear view mirror, fold out mirrors, seat belts, set up for street legal. Stop in and customize your car today ! !